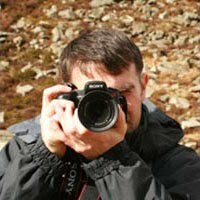 I am an outdoor writer and photographer based in Northern Ireland. I have been exploring the Irish countryside since my first hill walk on Binevenagh, County Derry, in 1997. Since then, I have had the pleasure of witnessing first-hand the most beautiful scenery Ireland has to offer – mountains, hills, valleys, lakes, coast and islands. I have also sampled many of Ireland's finest walking routes, and am among a rising number of people who have visited the highest point in each of its thirty-two counties (Ireland's County High Points). Beyond Ireland, I have also ticked off the National High Points of Scotland, England and Wales. Since May 2010, I have been a member of the Outdoor Writers & Photographers Guild (OWPG), and my working territory covers both Northern Ireland and the Republic of Ireland. 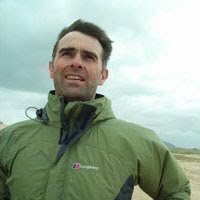 As an outdoor writer and photographer, my work has appeared in several best-selling outdoor magazines including Country Walking, Trail and the BBC’s Countryfile magazine. You can find out more about my writing and photography work by visiting the Outdoor Writing & Landscape Photography in Ireland pages of the website. In April 2011, I completed the All-Ireland County High Points challenge (i.e. visiting the highest place in each of the thirty-two counties). Since then, I have compiled the first-ever walking guidebook devoted exclusively to Ireland's County High Points. 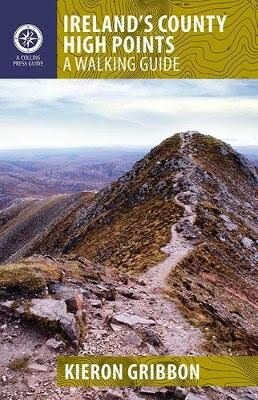 This was published by The Collins Press in March 2012, and is set to become the definitive guide to walking Ireland's County High Points (also referred to as County Tops and County Peaks). I am also developing The Ireland Walking Guide - a website which provides information about walking in Ireland. "The Ireland Walking Guide" site was launched in April 2012, and can be accessed by clicking on the green buttons located at the top and sides of any page in this website. I am also developing The Ireland Sightseeing Guide - a website which provides information about sightseeing in Ireland. "The Ireland Sightseeing Guide" site was launched in April 2012, and can be accessed by clicking on the purple buttons located at the top and sides of any page in this site. I hope you enjoy using my websites, and that you find their content useful and informative. Feel free to contact me about any of the subjects featured on the website.